The Doctrine of Clean Hands and the Amistad! 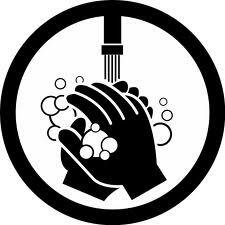 Answer the following question: How does the “Doctrine of Clean hands” apply to the Amistad Case? relates to the Amistad Case. Why were the two slave owners Pedro Montes And Jose Ruiz hands “not clean”. What crime had they committed. Give a clear definition for what the Doctrine Of Clean hands meant, and tell how it applies to the Amistad. Last time we discussed the Doctrine of Clean Hands as Related to the Amistad. I have to say that most of you got the connection both giving an adequate definition of what the Doctrine Of Clean hands meant, as well as making a case for how it applied to the Amistad. Making the Case that if the slave holders Montes and Ruiz who were seeking the court to return their slaves to them had started the whole thing by committing a Crime (importing human beings across the Atlantic Ocean from Africa in violation of the 1808 law forbidding the slave trade), they could not seek justice as their hands not clean. signed a treaty with Britain agreeing to not import slaves across the Atlantic Ocean into America. invited Congress to take the final step. 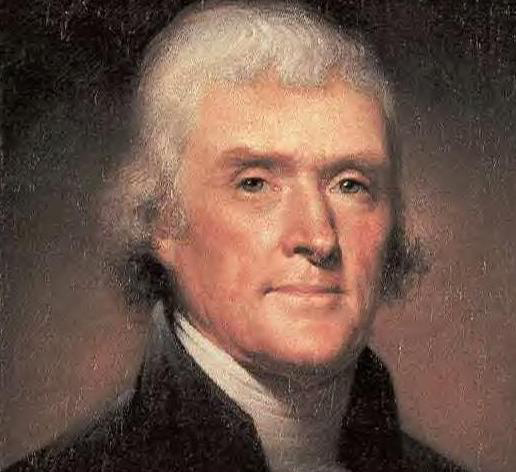 In a message to both houses, he expressed his hope that Congress would end the slave trade and “withdraw the citizens of the United States from all further participation in those violations of human rights which have so long been continued on the unoffending inhabitants of Africa.” Congress passed the act in March of 1807, and Jefferson quickly signed it into law. (Great Britain’s similar law, the Slave Trade Act, was passed by Parliament later the same month.) The law set its effective date as January 1, 1808—the earliest date possible under the Constitution. This act sighted the cruelty of slavery as an evil that must be stopped. At this time there were over 3 million slaves living in the United States of America. The thing is this in no way made slavery itself illegal. Slaves in the U.S. would not be freed by this law, nor would this free the children of slaves who were like their parents considered property. My question to you is do you see something dissimilar with outlawing the slave trade because it is a violation of human rights and yet not outlaw slavery? Why do you think they admitted that slavery was evil and had to end and made it illegal to bring more slaves in to America. Yet at the same time said nothing about ending slavery for the 3 million living as slaves at the time. Not to mention the future enslavement of children not yet born to slaves. What do you think about this? 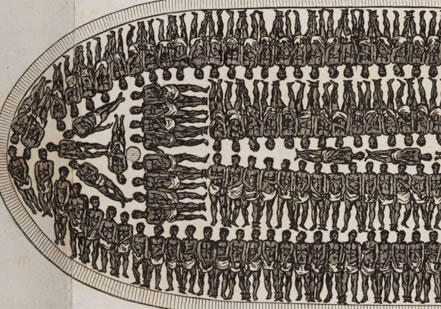 In 5- 10 sentences tell me what the Slave Trade Act or 1808 was and then make a statement of opinion about what you think about ending the slave trade on the grounds that it was brutal and inhuman, but doing nothing to end slavery. The abolition movement in the United States had two distinct factions. One group of abolitionists wanted to see slavery ended gradually. The other wanted slavery stopped immediately, even if violence became neces- sary to accomplish the goal. The Amistad case unfolded at a time when abolitionists in both factions were making a major push to end slavery. Many abolitionists felt that slavery was a symbol for everything that was wrong in US society. The abolitionists printed antislavery newspapers and helped runaway slaves gain their freedom. Those who favored slavery pushed back, going so far as to physically attack antislavery activists, break into their meetings, start fistfights with them, and even damage their homes. Many Northerners opposed slavery, but they thought that the abolitionists were too radical. They felt the abolitionists’ uncompromising attitude was bad for the nation’s economy as a whole and would eventually split the Union. The Amistad issue and the debate it raised divided the nation’s newspapers. 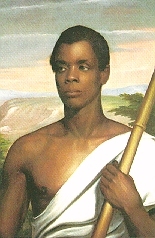 Once details of the Africans’ plight became known, mostly Northern, abolitionist newspapers referred to Joseph Cinqué as a brave leader and a hero. Proslavery periodicals, however, called the Africans aboard the Amistad rebellious murderers. The battle lines over slavery were clearly drawn. Which do you think was the better approach to gradually end slavery over time or to stop it immediately. Remember that to end it all at once would mean great violence and the death of many as proven in the Civil War. However also remember that to let slavery exist was a great evil because millions of people were suffering every day. Harriet Tubman and Frederick Douglass what is the same/What is different. Amistad and the Doctrine of clean hands. Answer the following question: How does the “Doctrine of Clean hands” apply to the Amistad Case. relates to the Amistad Case. Why were the two slave owners Pedro Montes And Jose Ruiz hands “not clean”. time the slavery was legal in North and South America.